Try making this cake a yearly habit! 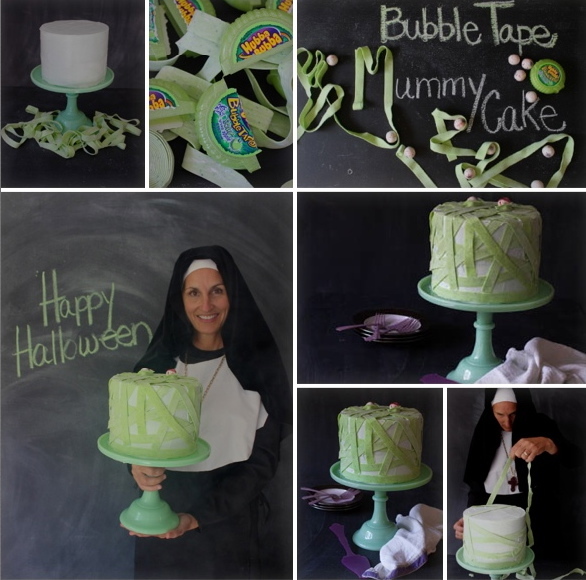 Work from the base of the cake over the top in crazy patterns with pieces of the bubble tape until you feel like you have a good mummy vibe happening. Then take two small pieces of the bubble tape and create circles where the eyes will go (leaving a big enough hole for your gum ball to fit in). Place gum balls in the two holes for the eyes! You have been mummified! HAPPY HALLOWEEN!! Look out for another fun Halloween cake on Thursday!